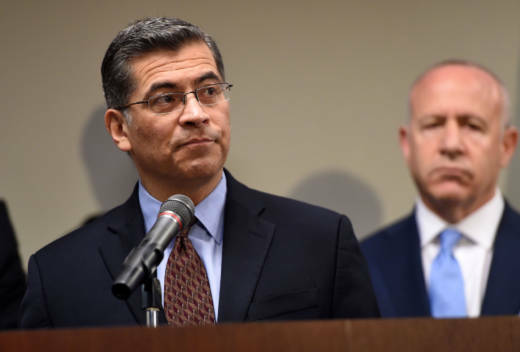 SACRAMENTO — California Attorney General Xavier Becerra on Monday announced 32 indictments and 25 arrests so far, as well as 240 charges, against alleged East Bay-based gang members accused of stealing more than $1 million in an unusually sophisticated credit card fraud scheme. Members and associates of the BullyBoys and the CoCo Boys gangs -- based in Antioch, Pittsburg and Bay Point -- defrauded hundreds of victims across 13 counties by breaking into dozens of medical and dental offices to steal credit card terminals and patient records, said Becerra and police chiefs from three cities. The indictment handed down last month by a special Sacramento County-based statewide grand jury includes counts of conspiracy to commit grand theft, hacking, computer access and fraud, grand theft, burglary and identity theft. "We've all seen high-tech crime become the new battleground," said Chaplin.